Hollywood Gothique loves Halloween Horror Nights at Universal Studios Hollywood; we really do. And yet... Along with all the advantages of a movie studio (excellent sets, lighting, makeup, and special effects) also comes the downside: the tendency to recycle familiar franchises. 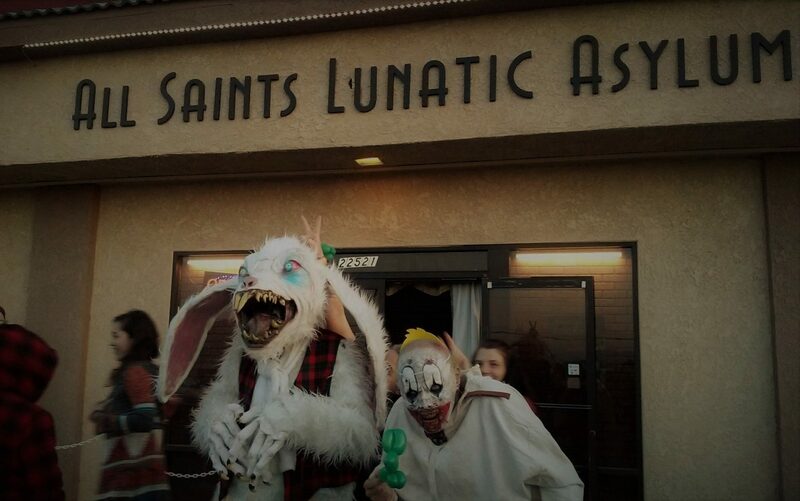 Case in point: since resurrecting its annual Halloween event back in 2006, Universal Studios Hollywood has twice presented a walk-through maze based on THE TEXAS CHAINSAW MASSACRE. This week, word arrives that Halloween 2012 will feature yet another bloody chainsaw massacre. The good news is that this version, The Texas Chainsaw Massacre: The Saw is the Law," will be based on the original 1974 film directed by Tobe Hooper, not on the more recent remake and prequel. We have found memories of Halloween Horror Nights' 2009 HALLOWEEN-themed maze, The Curse of Michael Myers, based more on the old HALLOWEEN films than the Rob Zombie remake, so perhaps a similar malevolent magic will work out here. For details, check out the official press release. 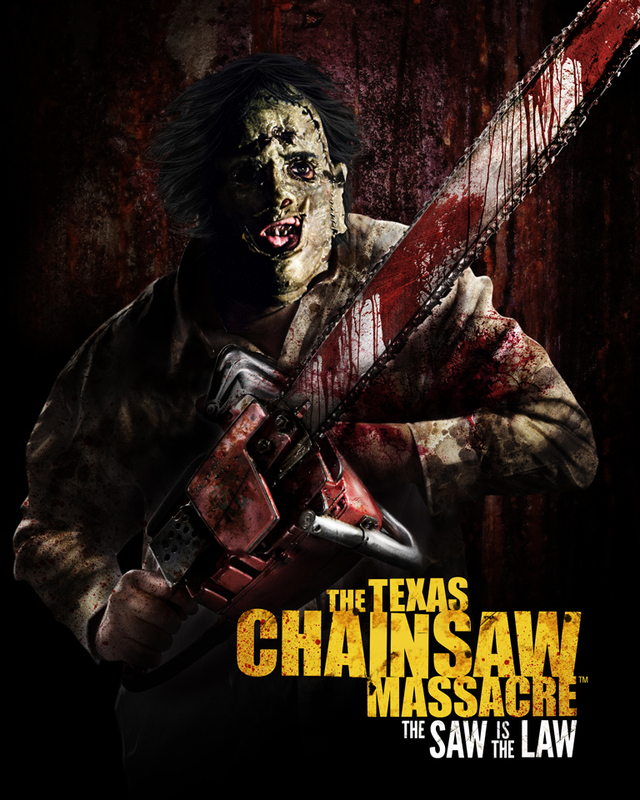 ‘The Texas Chainsaw Massacre: The Saw is the Law,’ Based on the Original Horror Film Classic, Slices Through Universal Studios Hollywood as the Newest Maze Addition to the Halloween Horror Nights Lineup Universal City, California – The tragic and demented account of Leatherface™ and his deranged family of cannibals set the stage for this year’s new maze, “The Texas Chainsaw Massacre: The Saw is The Law,” based on filmmaker Tobe Hooper’s notoriously unsettling 1974 horror film classic at “Halloween Horror Nights®” at Universal Studios Hollywood, Southern California’s premier Halloween event. This original American horror film tells the story of five young friends who unsuspectingly fall victim to the ghastly terrors and torment of a depraved and cannibalistic Texas clan. The film, hailed among the most influential horror movies in cinematic history, will now be meticulously recreated into a disturbingly gruesome “Halloween Horror Nights” maze. Those who dare to step into the inner workings of a slaughterhouse maze will be gripped with vivid telltale signs of imminent doom. Gruesome and blood-soaked scenes from the controversial classic will terrorize guests as they experience a labyrinth that will captivate all senses and render them defenseless when met with nightmarish images of mutilated bodies on bloody meat hooks; become paralyzed by putrid odors of decomposed corpses; navigate their way through human bones and animal pelts suspended from the ceiling; and run from the unmistakable roaring sound of a chainsaw revving to life when Leatherface™ lunges from the darkness in search of victims. This year’s “Halloween Horror Nights” at Universal Studios Hollywood brings together the sickest minds in horror to immerse guests in the living, breathing, three-dimensional world of the most notorious and terrifying creatures. Featuring a slate of unrivaled film production quality mazes, terror-filled Scare Zones and a fully reimagined “Terror Tram” experience, uniquely themed to today’s most definitive horror properties, “Halloween Horror Nights” will taunt, terrorize and torment guests with incomparable spellbinding and spine-chilling haunted attractions. About Texas Chainsaw Massacre: It has been called "grisly," "sick" and "perverse," as well as "raw," "unshakeable" and "the movie that redefined horror." It was attacked by churches, banned by governments and acclaimed by only the bravest of critics. It stunned audiences worldwide and set a new standard in movie terror forever. In 1974, director Tobe Hooper unleashed this dark, visionary tale about a group of five young friends who face a nightmare of torment at the hands of a depraved Texas clan. Today it remains unequaled as a landmark of outlaw filmmaking and unparalleled in its impact as perhaps the most frightening motion picture ever made.